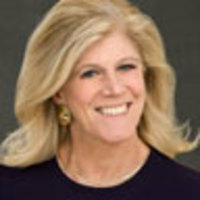 Vivian Schiller, who killed The New York Times’ last attempt to charge for content, tells Lynn Sherr why she now supports the new model—and why innovators like Jeff Zucker at NBC should be encouraged. Cut to today. You might expect that Schiller, now president and CEO of National Public Radio, would be out there waving the “free content” sign against the new announcement that the website will start charging in 2011. You would be wrong. People are afraid to try things because they get eviscerated, like Jeff Zucker did at NBC. But conceptually what he tried was really creative. It will, she said, take time, but it clearly also marks the potential end of complimentary content online. For those of us who, um, generate content for a living, the news leads to more speculation. With the Financial Times already doing a version of metering; with the Wall Street Journal behind a plain old pay wall, who’s next?